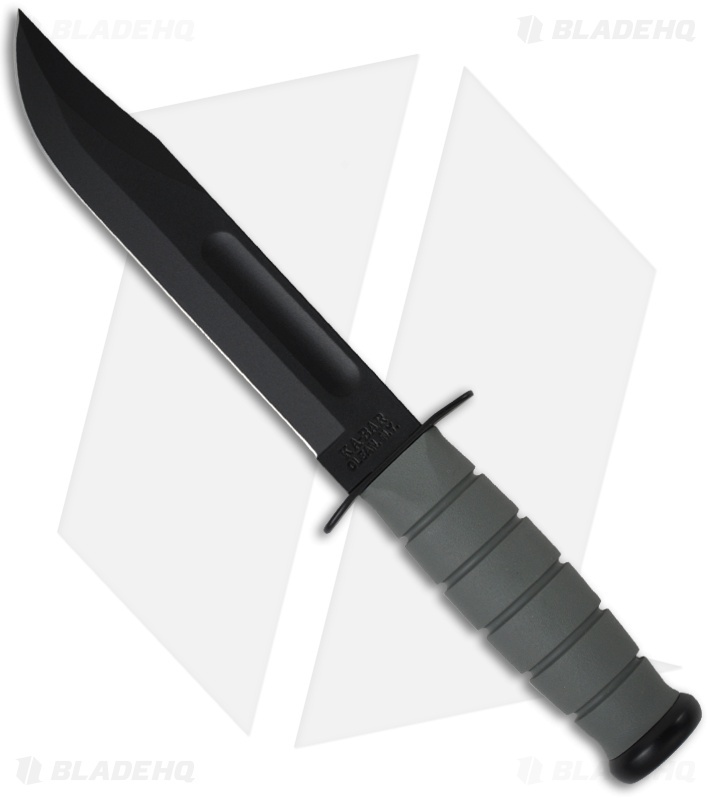 Since the 1940's, the Ka-Bar 7" Fighting/Utility knife has been a trusted companion for Soldiers, Marines and Seamen alike. Now with the tradition that more than half a century brings, combined with modern tooling and construction, the Ka-Bar Fighting/Utility knife is ready for the next 50 years of service with our armed forces personnel, first responders or outdoor enthusiasts. Featuring the iconic clip point blade, 1095 Cro-Van steel is painstakingly ground and heat treated to ensure each knife is tough and durable while remaining easy to sharpen to a hair popping edge. Foliage green Kraton G handles are contoured into the familiar oval shape, comfortable in hand while providing excellent traction and control. Safely nestled between the finger guard and pommel, the Ka-Bar Fighting/Utility knife remains secure in hand whether you're in close quarters combat or blazing a trail through thick vegetation. A foliage green injection molded glass filled nylon sheath resists cracking, warping or chipping and with multiple MOLLE compatible lashing and anchor points, carrying your Fighting/Utility knife in the field is safe and secure. 7" non-serrated clip point blade capable of any small or large task. Foliage green Kraton G handles comfortably fill the hand. 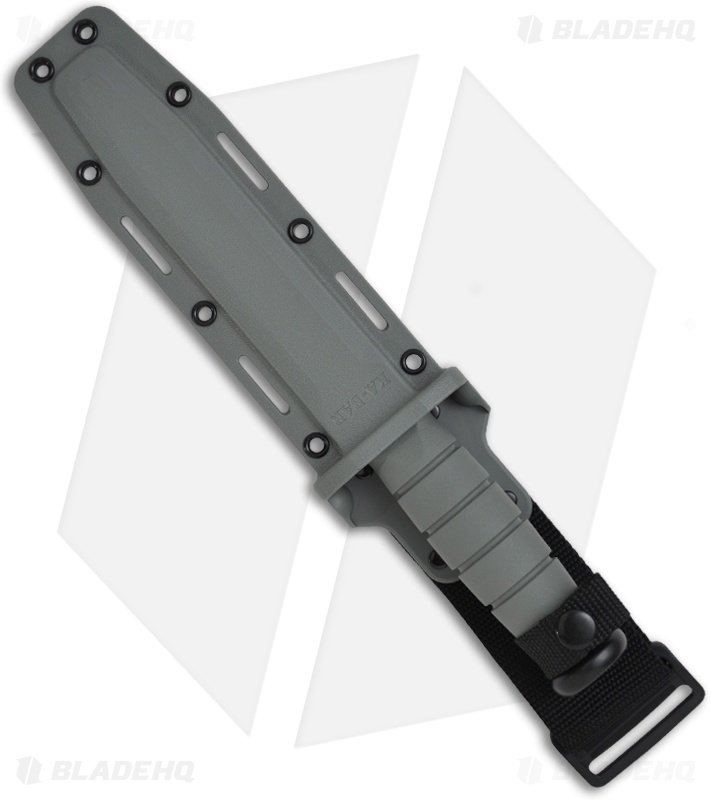 Injection molded foliage green glass filled nylon sheath with retention strap for easy and versatile carry.